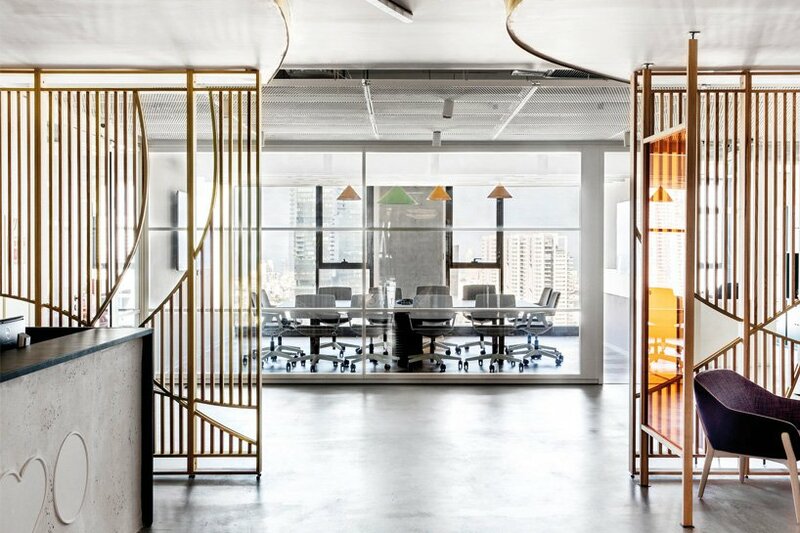 In the heart of Tel Aviv’s business centre, the new Nuvo Group office. 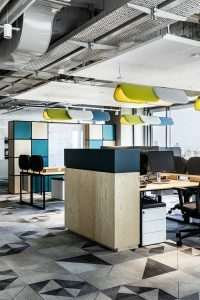 The 1,500 square meter office occupies the entire floor of the new Alon Towers in the heart of Tel Aviv’s business center. Roy David Architecture was commissioned to design a space that reflected both the data-centred and feminine nature of the company’s primary product, a revolutionary fetal monitor that vastly improve a segment of healthcare that has remained largely unchanged for decades. 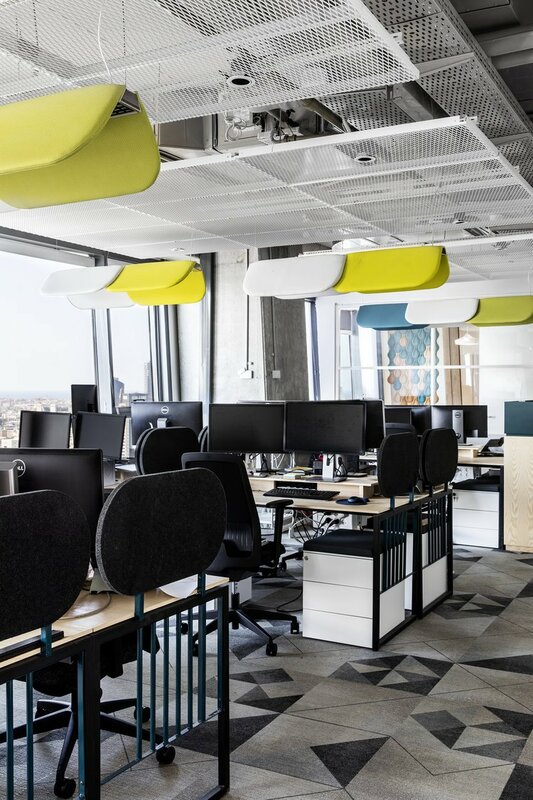 The solution was the creation of a research and development “HUB”, a dynamic and multi-purpose open space that hosts the entire research and development team. The space is composed of a variety of spaces for meetings and collaborations, ranging from seating for privacy to formal meeting rooms. The HUB is also home to numerous company laboratories, which facilitate access to employees who use the equipment on a daily basis. The space itself has been designed to provide a sense of privacy and functionality. 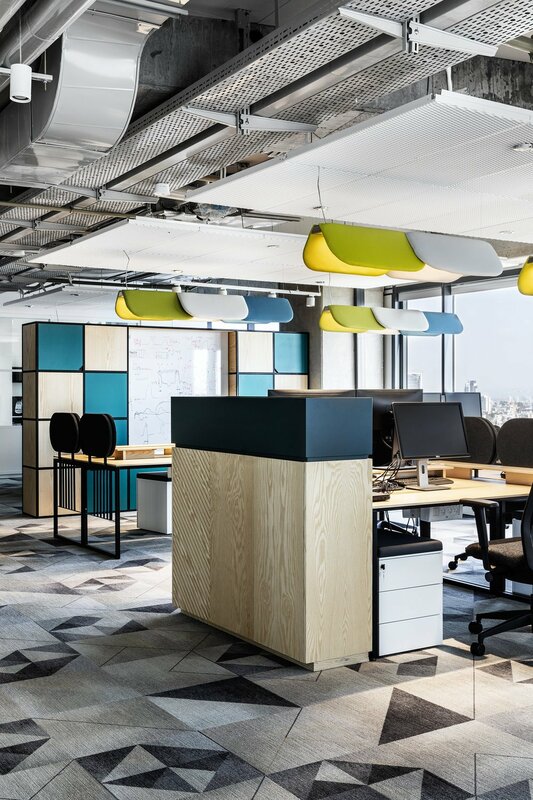 The designer worked with a carpenter to create custom-made furniture that created the necessary divisions between the teams and provided employees with integrated writing surfaces and warehouses near their workstations. 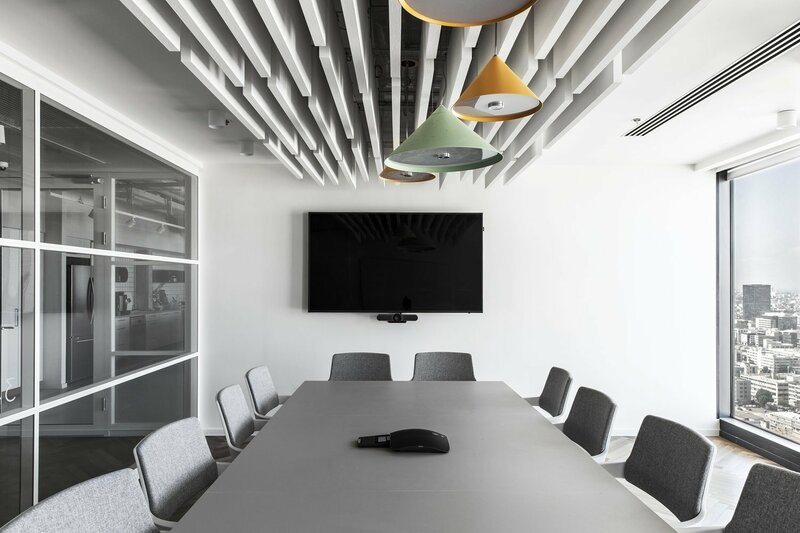 The lighting project was commissioned to AndCosta who realized a lighting system suitable for various needs and different work areas. In order to reduce noise in the areas dedicated to shared work, it was installed a sound-absorbing light systems which combines effectiveness, flexibility, aesthetics and attractive design. The language of design is closely linked and inspired by the unique nature of the company’s main product, whose design is soft and feminine in nature, but whose function and development are based on complex data and technologies. 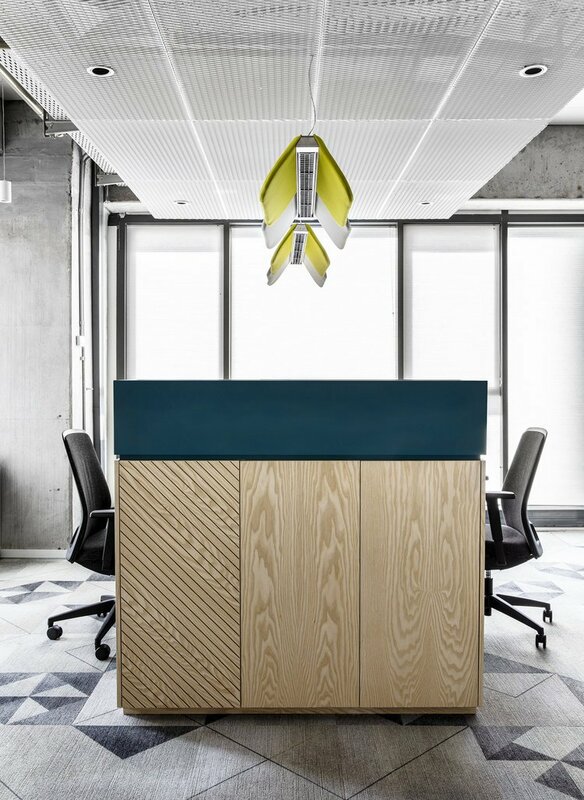 The designer has chosen elegant and soft lines and colors, light ash wood, finishes in olive and coral, to define the space that works in sync with more linear elements that can be seen, for example, in the details of custom-made furniture and ceiling elements throughout the space. 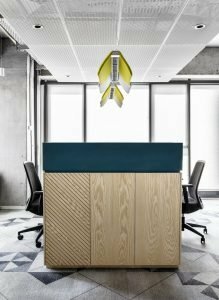 The design concept is made clear at the entrance of the office space, from the angular reception desk similar to the grid and the storage system that accompanies it in parallel with the curved lines of the ceiling and the partition walls, both inspired by the feminine shape during the pregnancy. All offices and workstations are located along the curtain wall, allowing employees to enjoy the magnificent urban and maritime views from the 26th floor. Previous Post An Historical French Hospital is reborn as a glamorous hotel: The Jaffa Hotel in Tel Aviv. An Historical French Hospital is reborn as a glamorous hotel: The Jaffa Hotel in Tel Aviv.